The tragic crash of Air France 447 (AF447) in 2009 precipitated the aviation industry’s growing concern about “loss of control” incidents, and whether they’re linked to greater automation in the cockpit. As technology has become more sophisticated, it has taken over more and more functions previously performed by pilots, bringing huge improvements in aviation safety. But while overall air safety is improving, loss of control incidents are not. 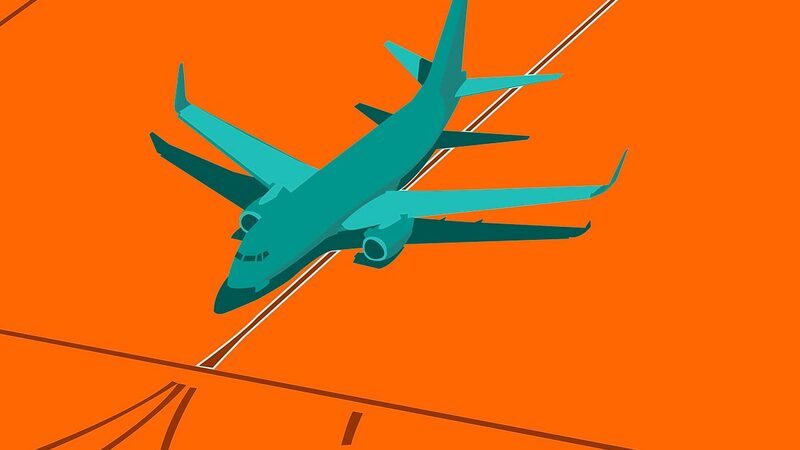 In fact, they are the most prevalent cause of fatalities in commercial aviation today, accounting for 43% of fatalities in 37 separate incidents. Research examines how automation can limit pilots’ abilities to respond to such incidents, as becoming more dependent on technology can erode basic cognitive skills. The case reveals how automation may have unanticipated, catastrophic consequences that, while unlikely, can emerge in extreme conditions. The tragic crash of Air France 447 (AF447) in 2009 sent shock waves around the world. The loss was difficult to understand given the remarkable safety record of commercial aviation. How could a well-trained crew flying a modern airliner so abruptly lose control of their aircraft during a routine flight? AF447 precipitated the aviation industry’s growing concern about such “loss of control” incidents, and whether they’re linked to greater automation in the cockpit. As technology has become more sophisticated, it has taken over more and more functions previously performed by pilots, bringing huge improvements in aviation safety. In 2016 the accident rate for major jets was just one major accident for every 2.56 million flights. But while overall air safety is improving, loss of control incidents are not. In fact, they are the most prevalent cause of fatalities in commercial aviation today, accounting for 43% of fatalities in 37 separate incidents between 2010 and 2014. Loss of control typically occurs when pilots fail to recognize and correct a potentially dangerous situation, causing an aircraft to enter an unstable condition. Such incidents are typically triggered by unexpected, unusual events – often comprising multiple conditions that rarely occur together – that fall outside of the normal repertoire of pilot experience. For example, this might be a combination of unusual meteorological conditions, ambiguous readings or behavior from the technology, and pilot inexperience – any one or two of which might be okay, but altogether they can overwhelm a crew. Safety scientists describe this as the “Swiss cheese” model of failure, when the holes in organizational defenses line up in ways that had not been foreseen. These incidents require rapid interpretation and responses, and it is here that things can go wrong. Our research, recently published in Organization Science, examines how automation can limit pilots’ abilities to respond to such incidents, as becoming more dependent on technology can erode basic cognitive skills. By reviewing expert analyses of the disaster and analyzing data from AF447’s cockpit and flight data recorders, we found that AF447, and commercial aviation more generally, reveal how automation may have unanticipated, catastrophic consequences that, while unlikely, can emerge in extreme conditions. Commercial aircraft fly on autopilot for much of the time. For most pilots, automation usually ensures that operations stay well within safe, predictable limits. Pilots spend much of their time managing and monitoring, rather than actively flying, their aircraft. Cockpit automation, sometimes called the “glass cockpit”, comprises an ensemble of technologies that perform multiple functions. They gather information, process it, integrate it, and present it to pilots, often in simplified, stylized, and intuitive ways. Through “fly-by-wire,” in which pilot actions serve as inputs to a flight control system that in turn determines the movements of the aircraft’s control surfaces, technology mediates the relationship between pilot action and aircraft response. This reduces the risk of human errors due to overload, fatigue, and fallibility, and prevents manoeuvers that might stress the airframe and endanger the aircraft. Automation provides massive data-processing capacity and consistency of response. However, it can also interfere with pilots’ basic cycle of planning, doing, checking, and acting, which is fundamental to control and learning. If it results in less active monitoring and hands-on engagement, pilots’ situational awareness and capacity to improvise when faced with unexpected, unfamiliar events may decrease. This erosion may lie hidden until human intervention is required, for example when technology malfunctions or encounters conditions it doesn’t recognize and can’t process. Imagine having to do some moderately complex arithmetic. Most of us could do this in our heads if we had to, but because we typically rely on technology like calculators and spreadsheets to do this, it might take us a while to call up the relevant mental processes and do it on our own. What if you were asked, without warning, to do this under stressful and time-critical conditions? The risk of error would be considerable. This was the challenge that the crew of AF447 faced. But they also had to deal with certain “automation surprises,” such as technology behaving in ways that they did not understand or expect. AF447 was three and a half hours into a night flight over the Atlantic. Transient icing of the speed sensors on the Airbus A330 caused inconsistent airspeed readings, which in turn led the flight computer to disconnect the autopilot and withdraw flight envelope protection, as it was programmed to do when faced with unreliable data. The startled pilots now had to fly the plane manually. A string of messages appeared on a screen in front of the pilots, giving crucial information on the status of the aircraft. All that was required was for one pilot (Pierre-Cédric Bonin) to maintain the flight path manually while the other (David Robert) diagnosed the problem. But Bonin’s attempts to stabilize the aircraft had precisely the opposite effect. This was probably due to a combination of being startled and inexperienced at manually flying at altitude, and having reduced automatic protection. At higher altitudes, the safe flight envelope is much more restricted than at lower altitudes, which is why pilots rarely hand-fly there. He attempted to correct a slight roll that occurred as the autopilot disconnected but over-corrected, causing the plane to roll sharply left and right several times as he moved his side stick from side to side. He also pulled back on the stick, causing the plane to climb steeply until it stalled and began to descend rapidly, almost in free-fall. Neither Bonin nor Robert, nor the third crew member (Marc Dubois, the captain) who entered the cockpit 90 seconds into the episode, recognized that the aircraft had stalled despite multiple cues. In the confusion, Bonin misinterpreted the situation as meaning that the plane was flying too fast and actually reduced the thrust and moved to apply the speedbrakes – the opposite of what was required to recover from the stall. Robert overruled him and attempted to take control, but Bonin continued to try and fly the plane. He and Robert made simultaneous and contradictory inputs, without realizing that they were doing so. By the time the crew worked out what was going on, there was insufficient altitude left to recover, and AF447 crashed into the ocean, with the loss of all 228 passengers and crew. The AF447 tragedy starkly reveals the interplay between sophisticated technology and its human counterparts. This began with the abrupt and unexpected handover of control to the pilots, one of whom, unused to hand flying at altitude, made a challenging situation much worse. A simulation exercise after the accident demonstrated that with no pilot inputs, AF447 would have remained at its cruise altitude following the autopilot disconnection. With the onset of the stall, there were many cues about what was happening available to the pilots. But they were unable to assemble these cues into a valid interpretation, perhaps because they believed that a stall was impossible (since fly-by-wire technology would normally prevent pilots from causing a stall), or perhaps because the technology usually did most of the “assembling” of cues on their behalf. This idea – that the same technology that allows systems to be efficient and largely error-free also creates systemic vulnerabilities that result in occasional catastrophes – is termed “the paradox of almost totally safe systems.” This paradox has implications for technology deployment in many organizations, not only safety-critical ones. One is the importance of managing handovers from machines to humans, something which went so wrong in AF447. As automation has increased in complexity and sophistication, so have the conditions under which such handovers are likely to occur. Is it reasonable to expect startled and possibly out-of-practice humans to be able to instantaneously diagnose and respond to problems that are complex enough to fool the technology? This issue will only become more pertinent as automation further pervades our lives, for example as autonomous vehicles are introduced to our roads. Second, how can we capitalize on the benefits offered by technology while maintaining the cognitive capabilities necessary to handle exceptional situations? Pilots undergo intense training, with regular assessments, drills, and simulations, yet loss of control remains a source of concern. Following the AF447 disaster, the FAA urged airlines to encourage more hand-flying to prevent the erosion of basic piloting skills and this points to one avenue that others might follow. Regular, hands-on engagement and control builds and maintains system knowledge, enabling operators, managers, and others who oversee complex systems, to identify anomalies, diagnose unfamiliar situations, and respond quickly and appropriately. Structured problem-solving and improvement routines that prompt one to constantly interrogate our environment can also help with this. Commercial aviation offers a fascinating window into automation, because the benefits, as well as the occasional risks, are so visible and dramatic. But everyone has their equivalent of autopilot, and the main idea extends to other environments: when automation keeps people completely safe almost all of the time, they are more likely to struggle to reengage when it abruptly withdraws its services. Organizations must now consider the interplay of different types of risk. More automation reduces the risk of human errors, most of the time, as shown by aviation’s excellent and improving safety record. But automation also leads to the subtle erosion of cognitive abilities that may only manifest themselves in extreme and unusual situations. However, it would be short-sighted to simply roll back automation, say by insisting on more hand-flying, as that would increase the risk of human error again. Rather, organizations need to be aware of the vulnerabilities that automation can create and think more creatively about ways to patch them.